Nuwan is a member of the architecture team at WSO2 which spearheads the strategy and design of WSO2 products. Nuwan specializes on APIs and API Management. He spends most of his time working closely with the engineering team in WSO2 which is responsible for the research and development of the WSO2 API Manager. 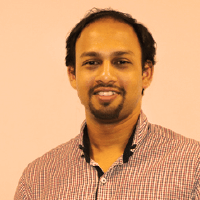 Nuwan is a member of the Open API Security Group and has spoken at numerous conferences around the world on the topics of APIs, Integration, and Security.